What Can a Health Plan Do For You? Assessing your current health situationA custom and thorough plan starts with an assessment of your current health conditions, your team of doctors and your health insurance coverage. A health plan provides concrete and easy to understand information about your insurance plan, including what doctors are in network, ways to save money on prescriptions, and services you may not have known were covered. Addressing any current medical needsA health plan will also outline how to tackle any current health needs, from what doctors to see to where to get your medications for the best price. You may be shocked to find there are better treatment options available or ways to save money on your current care. Prepare for future health needsA health plan can mean many things in terms of future healthcare planning: connecting you to emergency rooms that can access your medical records, preparing a list of in network urgent care facilities, or planning when home health care services are needed. Plans will help prepare and guide on what to do, no matter the healthcare situation or severity. If you want to be more prepared and get an edge on your health, call Better Health Advisors. CASE STUDY 1: Jim, a 40-year-old investment banker living in New York City with his family, felt he was in good health. He came to Better Health Advisors to develop an emergency plan in case one of his sons was to become sick or injured. A couple of months later, his 8-year-old son had a head injury playing soccer. Fortunately, Jim was prepared. He knew exactly which hospital to go to, what to bring with him & what to do as next steps. His son made a full recovery & Jim was at ease knowing what to expect. CASE STUDY 2: Linda, a 52-year-old nurse practitioner, approached Better Health Advisors to assess her current medical team for her cancer treatments. 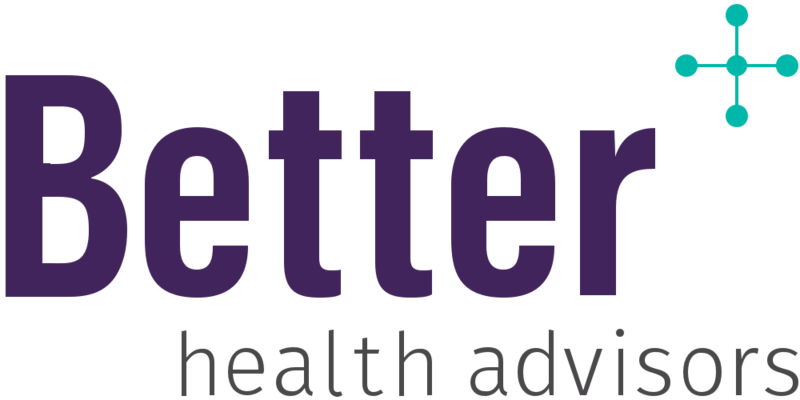 Better Health Advisors mapped out a plan of care including who are the best doctors, what her insurance would cover, what are best physical therapies for her conditions, and what home care providers specialize in cancer treatments.